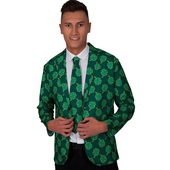 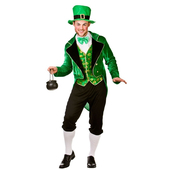 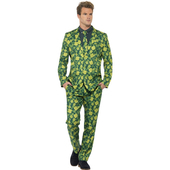 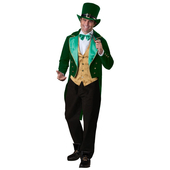 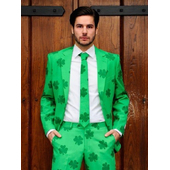 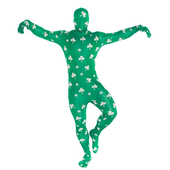 Unlucky Leprechaun costume features a gingham green trousers with jagged ends, also included is a dark green jacket with patch detailing and jagged ends. 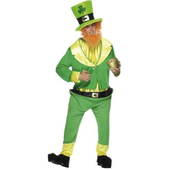 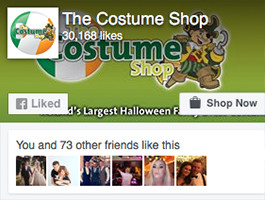 To complete this look a yellow bow tie and a scary leprechaun face mask with attached hat is included. 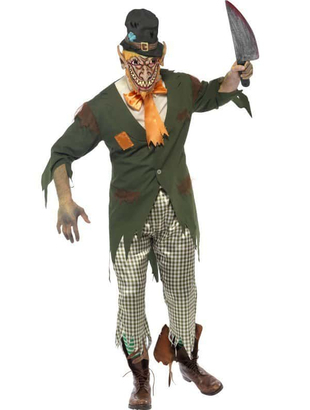 Please note machete and shirt are not included but similar can be purchased separately on our site.